All are welcome to join the Altadena Community Church adult class for "Learning to Connect Within" on Jan. 12 and Jan. 19. The classes will meet at 11:25 a.m., after 10 a.m. worship and a brief social time. There is no charge, and childcare is provided. Self-care is a frequent New Year’s resolution. These classes will go deeper than diet and exercise to the levels of spiritual and emotional self-care that are the wellspring by which all successful resolutions are fed. Teachers Lisa Devine and Sylvia Poareo, MSW have written, taught, and blogged on these subjects and can help us begin the New Year on a spiritually, physically, and emotionally healthy path. 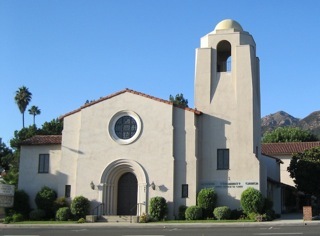 Altadena Community Church is at 943 E. Altadena Drive, just east of Lake Ave. For more information please call (626) 798-1185 or visit www.altadenaucc.org.